Pillar Point Harbor is a protected harbor of refuge along the San Mateo County California Coast. It is home port to a vital commercial fishing industry, to sport fishermen, and to pleasure boaters seeking the amenities this modern coastal harbor facility provides. The Harbor has 369 berths and an inner and outer breakwater, making it one of the safest harbors in the United States. 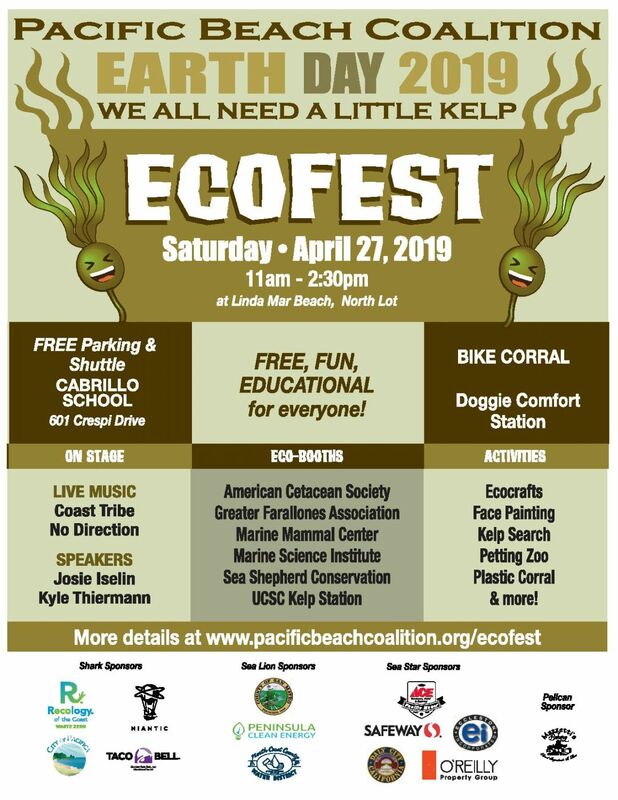 The harbor is also situated within the boundaries of the Monterey Bay National Marine Sanctuary with its natural and ocean resources protected by the National Marine Sanctuaries Program under the National Oceanic & Atmospheric Administration. Meet Celine Gerakin. In 2013, she and her husband made a life-changing move by leaving Berkeley for Pillar Point to live on a sail boat. It was when she started noticing litter floating at the harbor that Celine started picking up trash by herself on weekends. 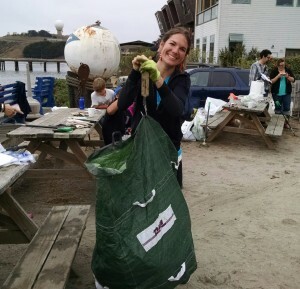 A couple months later, she discovered the Pacific Beach Coalition, joined cleanups in Pacifica & Daly City, and two months later she became site captain of our newest Adopt-A-Beach location. She now has a nice group of volunteers and the support from the San Mateo County Harbor District. Celine is also a member of our Steering Committee. 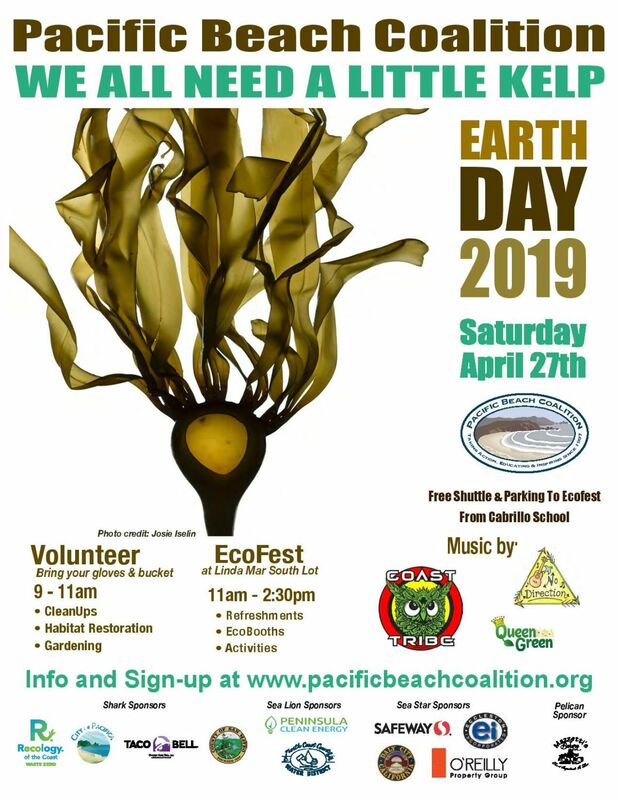 Cleanup efforts at Pillar Point Harbor are making a big difference to keep our ocean clean, though help is always needed, so join this Earth Hero team at this scenic coastside location! Time: Last Saturday of the month from 9am-11am, except for April and September. Check our online monthly calendar for exact dates. Rain may cancel cleanup. If you’ve registered in advance, you’ll receive a cancellation notice. If you have not registered, check our calendar for the latest information. Litter: Expect picking small and large pieces of trash related to commercial and recreational fishing activities. Parking: Free parking on the side of Highway 1 near the RV Park, and at the harbor. Restrooms: Public restrooms are located at the boat launch ramp (a 3-minute walk from the meetup location). Dogs: Allowed but on leash. Please be responsible and pick up your dog waste. Would You Like to Join Us? To make sure we bring the right amount of supplies, to be more efficient and conserve paper, please fill out our online form. It will only take you a few seconds. Sign up here! 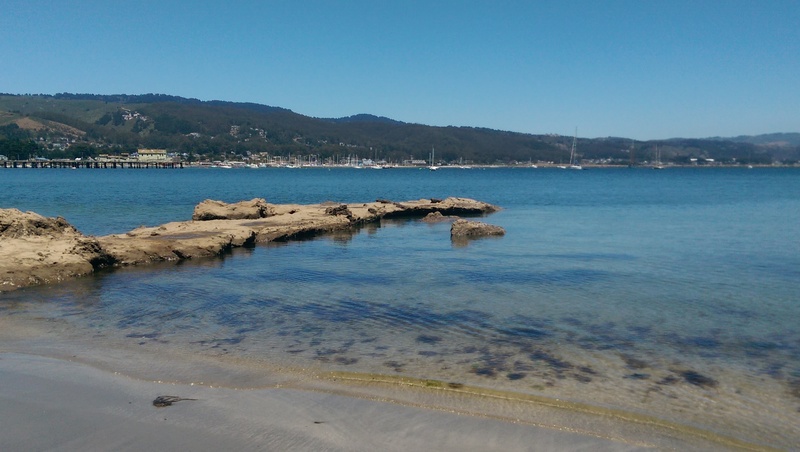 Read About the Team In Action: Check out the Pillar Point Harbor blog.